Happy Halloween, you bunch of ghouls! Did y’all have a fun weekend? I definitely did. My friend Lauren hosts a party every year – it’s always so much fun! Halloween isn’t my favorite holiday, but I’ll never say no to a party with all my besties (or the candy that comes with it). I seriously can’t believe I leave for Japan in less than a week. While I’ve done A TON of research and have a pretty solid itinerary, there’s something about visiting a country with no concept of the language or how to get around that has me stressing out about it! I’ve been assured that there are English-speaking attendants at all the train stations, so that definitely helps, but it’s still a little unnerving not even being able to even try to decipher something on a menu, map or even a road sign. With that said, at least I have my packing list firm and complete! It’s not supposed to be super cold, so I decided to save room in my luggage and avoid packing any coats. Instead, I’ve packed three heavy cardigans to layer over other lightweight sweaters and tees. This one, for example, is one of those cardigans. It’s the coziest basic to wear with tees, jeans and boots for daytime, but switch into a lace cami to dress it up at night! 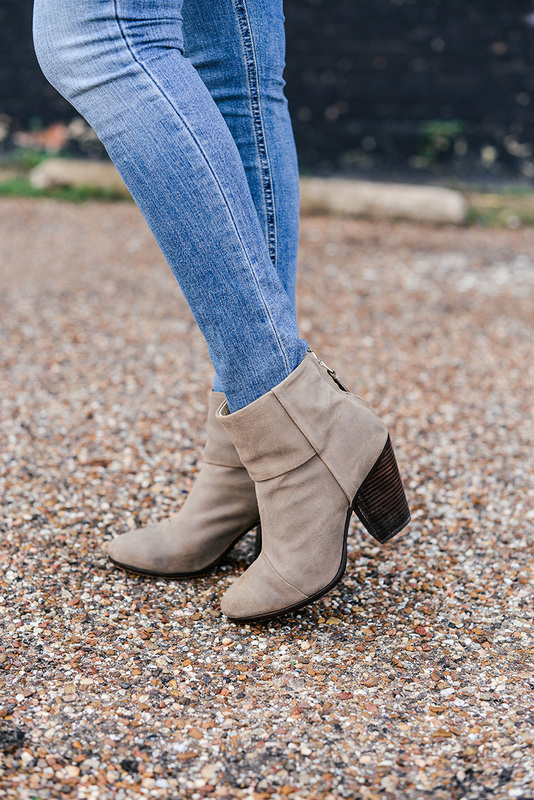 In addition to being a fabulous travel piece, it’s just the item I reach for when snuggled up on the couch at home. No more relying on my old Theta fleece! This is the other cardigan I’m packing. I got it in both colors… oops! Definitely an investment, but I’ll have them forever. 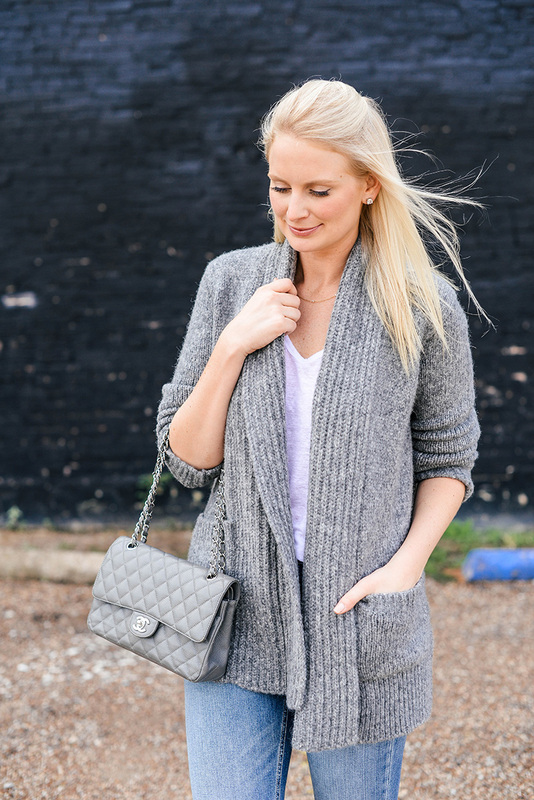 If you love the look of my cardigan in this post but can’t afford the price tag, try this style that’s under $90! If you love the rust/burnt orange color that’s so popular this season, this longline cardi is perfect! If cashmere is what you’re after, it doesn’t get much better than this Neiman Marcus cashmere classic. Available in six different colors! I love the relaxed cocoon style of this sweater. So soft and pretty! This cardi looks so cozy, I love this classic look. Cozy is right! This looks like something I’d live in. Loving the shade of his denim! Have so much fun in Japan! That sounds amazing! I am dying to go! Girl I am drooling over that gray Chanel bag! Love this look, so chic! Can’t wait to see your pics from Japan! We went on our honeymoon and it was amazing, but it was August and it was SO HOT. As for the food, we had the same issue, like what does any of this mean?! so we basically just pointed and ate a LOT of sushi! This is a really cute look!! I saw your snaps about the party. Looks fun! 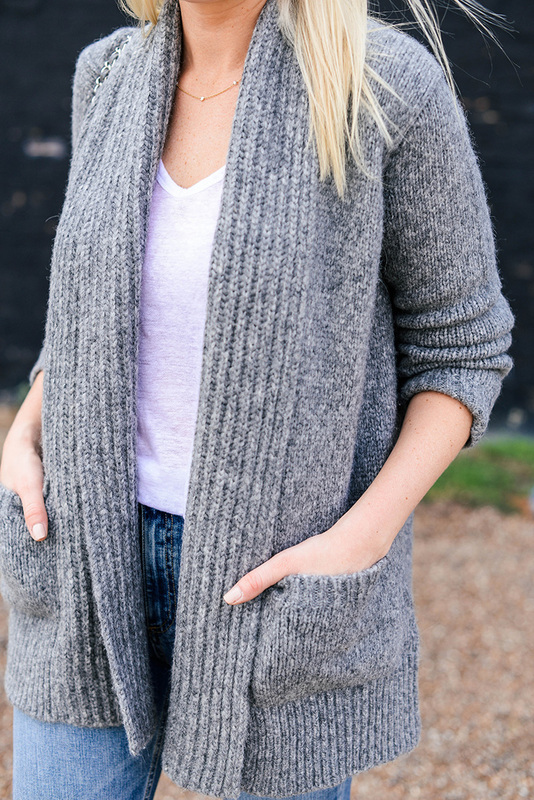 Loving this cozy cardi. hard to beat something like this in the fall. Love this look! Cozy cardigans are one of my favorite fall & winter pieces. I think bc you can just wrap yourself up in them and feel sort of like your at home in a blanket. I love the cardis you chose. I don’t know if you shop Aritzia at all, but I absolutely love the Wilfred Free Aronson sweater. I have it in two colors. I’ve you are ever in the market for another one, I highly recommend it. Japan sounds so exciting and I can not wait to see photos.